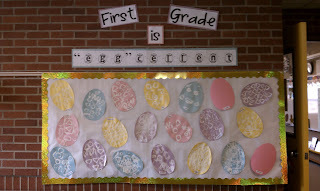 Wards Way of Teaching: First Grade is "EGGcellent"
Spring is here! Well not really in Idaho...it hailed, rained, and snowed today. I was lucky to have my husbands family come in and help with centers today. One center was creating these cute eggs. Two students were absent hence the bare eggs..they will make it up! I got the idea from a MAILbox magazine. 1. Bend the pipe cleaner in the shape that you want. 2. Dip into the paint. 3. 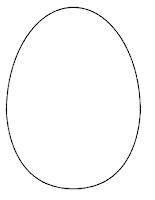 Press onto your egg. LOVE it! I needed a great art project for next week. Thanks girl! Very cute!!! 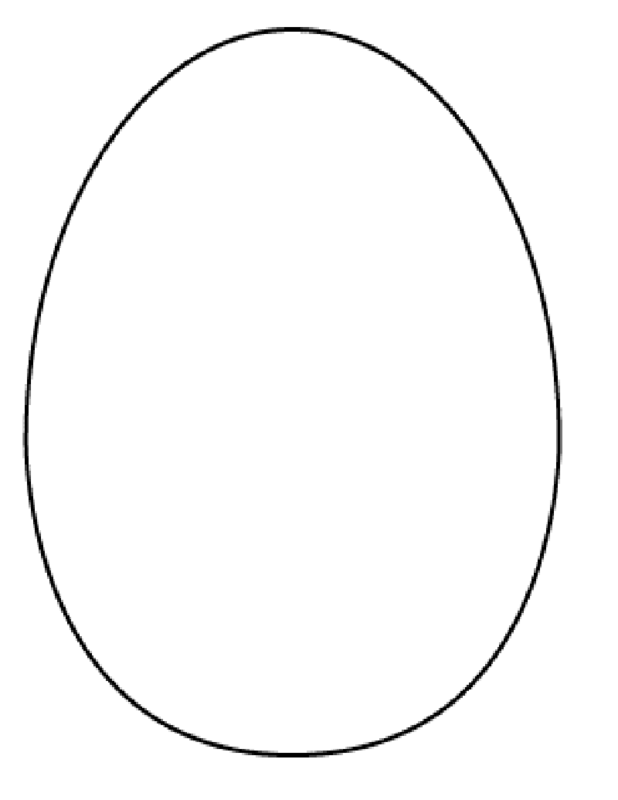 I did mine with symmetry- so the kids had to fold their egg in half the hot dog way. Then they only painted on one side and folded to create the symmetry!